Hemophilia Notes – LA Kelley Communications, Inc.
Music is figuring prominently in the movies lately: A Star is Born, the third remake with Lady GaGa and Bradley Cooper, is a musically and emotionally rich film about how success changes people. Bohemian Rhapsody… need I say anything at all? A biopic about the irreplaceable and eternal Freddie Mercury, who has frequently been rated as having one of the greatest voices in rock history and who created one of the often-rated top 10 rock songs of all time. He’s my second favorite singer (Jim Morrison of the Doors being first). Music has long been an art form to express emotions and thoughts that are not easily given to words. Music is so tied to emotions that many of us can hear a song, and remember a place or event that happened when we first heard it. It taps a different part of our brain than reading; it can express feelings that we cannot put into words, unless a verse accompanied by music. For example, “Love of My Life” was Freddie Mercury’s favorite song, according to one biography, because despite his fame, he often felt alone and mistrusted many people around him. The bleeding disorder community also has its own music, designed to give a voice to feelings that are not easily expressed. Sometimes music with lyrics, sometimes just music. 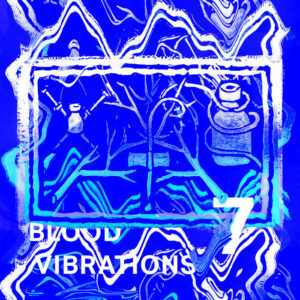 Blood Vibrations is an on-going, grassroots collaboration with various talented artists in the community, to provide a forum for creativity, expression and learning. With songs like “I Am Alone,” “Everybody Counts,” “Patience is a Virtue,” “Alone,” you can see there are some deep feelings to explore and share. Pain and suffering are often doorways to these deep feelings and dark thoughts, and music is one way to relieve and process these. The artists may even be people you know, like Jenny Massey, Kevin Finkle and Jozef Zwier, though many are using pseudonyms, like Cell Division and Bleeder. Listen to their songs, and understand bleeding disorders more. I write books on hemophilia, but there is great value in hearing music about it. I love music; I am picking up my piano again, after a 5-year hiatus, inspired by these artists. 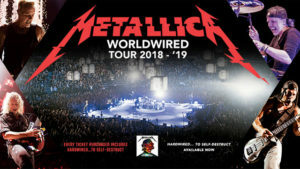 I play classical piano but am also attending a Metallica concert tomorrow in Raleigh, North Carolina. Music has many voices, all valid! If you haven’t listened to Metallica, I would recommend them. When I heard “For Whom the Bell Tolls,” I could have sworn I heard Bach fugues in it. Sure enough, reading their bio, I learned that the late bassist Cliff Burton studied Bach. He died at age 24 in 1986 in a bus accident, but the band survived and remains a top draw in heavy metal. Read about music too. I love bios about musicians, to learn what inspired them, how they crafted their songs, what paths their lives took to get them where they are. Sugarman and Jerry Hopkins—This one doesn’t have a happy ending, but it documents the rise and fall of the 1960s great rock band, their influence and the sad outcome of one of the greatest front men, and poets, in rock. For fun? 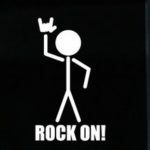 Slash by Slash and Dancing with Myself by Billy Idol. Hey, why not? Explore music. Which is your favorite genre? Band? Singer? Writer? Why? What one song moves you like no other? Music unites like almost no other art form. I will see that for myself when I disappear into a crowd of 50,000 tomorrow, all singing with, cheering at and feeling the power that is Metallica. Explore Blood Vibrations too. You too can submit a song; it doesn’t even have to be about a bleeding disorder. Send to bloodvibrations@yahoo.com. I’ll be waiting to hear it!